Rock around the Christmas tree this holiday season! 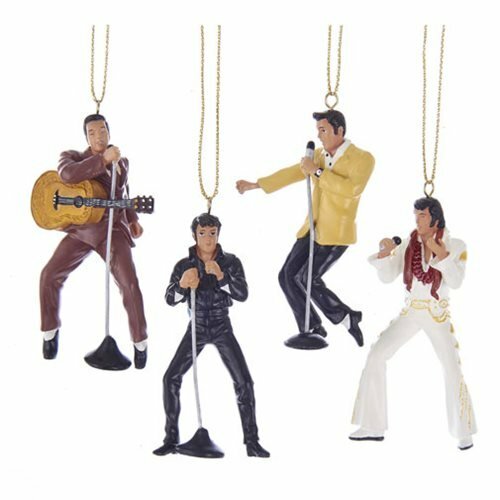 Add a little rock and roll to you decorations with the Elvis Presley 2 1/2-Inch Resin Ornament Gift Set 4-Pack. Comes packaged in a window display box. Ages 14 and up.